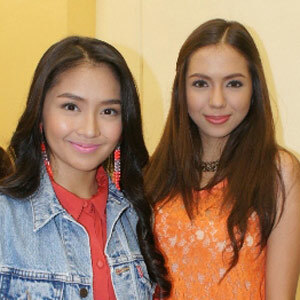 Kathryn Bernardo and Julia Montes continue to learn about friendship in Growing Up. The conflict between the characters of Kathryn Bernardo and Julia Montes continues to heat up this Sunday (February 5) in ABS-CBN’s youth-oriented drama series, Growing Up. But will they have a change of heart upon knowing that their coach and class adviser Miss Ortega (Maricar Reyes) is suffering from cancer? Can the former best friends still save their friendship? Don’t miss the changes and the realizations of the Growing Up barkada this Sunday afternoon after ASAP 2012 on ABS-CBN.